By becoming a member of The Crosby Arboretum you will help support our educational programs and natural areas. A subscription of our Quarterly News Journal, a publication dedicated to information on native plants and habitats as well as program announcements. A 10% discount on Gift Shop purchases. Free and discounted admission to designated programs and activities. Advance notice of all programs. Membership with the American Horticultural Society’s Reciprocal Gardens program. Student - $20/Membership privileges does not include 10% discount on Gift Shop purchases. Individual - $35/Membership privileges for one. Senior Individual (55+) - $30/Membership privileges for one. Family - $45/Membership privileges for all family members. Donor - $100/Membership privileges for all family members and a $10 gift certificate for any Arboretum plant sale/gift shop purchase. Patron - $250+/Membership privileges and a Mignon Faget longleaf pine seed lapel pin or pendant. Please indicate your choice. Benefactor - $ 1,000/Membership privileges and use of Pinecote Pavilion once a year. Sweetgum - $100/Membership privileges for as many as 10 employees. Sassafras - $250/Membership privileges for 11 to 25 employees. Live Oak - $500/Membership privileges for 26 to 50 employees and one free guided tour. Bigleaf Magnolia - $1,000/Membership privileges for 51 and over employees, one free guided tour, and 25% off one Pinecote Pavilion rental. Please consider checking the box on the Membership Form so that the News Journal can be sent to you as a .pdf, electronically, via email. This helps us to cut costs and is part of our initiatives to Go Green! Note: All membership renewals will be due in January of every year. Please note that ALL Members are required to check-in at the front desk of the Visitor Center. 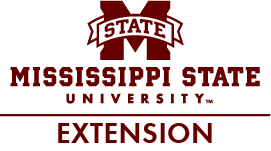 All visitors are noted on our daily visitor log sheet and recorded as statistics for use with Mississippi State University. Data is calculated and used in presentations, grant applications and justifications for funding.